A high resolution security system, the fully weatherproofed Nest Cam Outdoor surveillance camera has a viewing field of 130 degrees, delivering video in 1080p quality at 30 frames per second. Practically nothing will escape the notice of this outdoor camera. If the device detects a movement or noise, you'll be informed in real time, with the device delivering a snapshot of what's going on per email or over the app. A built in microphone and speaker even lets you intervene directly, helped by the fact that you can tune into the live feed at any time. Using Next Aware, you can view the last 10 days of interrupted playback time (subscription required). The Nest Cam can be plugged into to any normal electrical outlet, meaning you don't have to stress about battery life. By subscribing to the Nest Aware service, you'll be able to record 24/7, so that you don't miss a thing. A stand out feature from Nest Aware is the ability to create activity zones. You will only receive an alert when people are, for example, standing directly in front of your home, meaning you won't get a false alarm if someone simply walks by your house. Always keep an eye on your home with this Nest bundle. View footage from the Nest Cam Outdoor on the Google Home Hub's 7-inch screen. It's as easy as saying "Hey Google, show the outodor cam." Fans of smart home security, rejoice! This Nest bundle comes with a Nest Cam Outdoor, the Gogle Home Hub, and a free Google Home Mini. 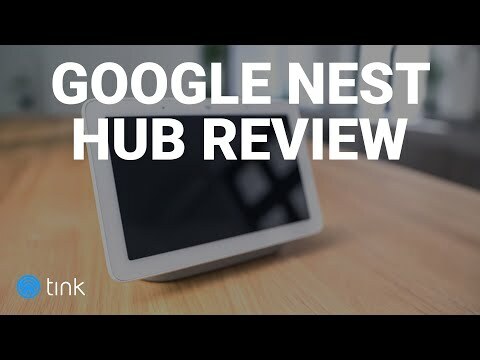 What we really enjoy about this combination is the ability to view Nest footage right on the Google Home Hub. And of course the Google products are compatible with a wide range of smart home manufacturers, making them indispensable parts of your smart home. Notifications when the action starts: When the Nest Cam Outdoor detects motion or a loud noise, you'll receive a notification. You can then view live footage of what's going on in the Nest app or on the Google Home Hub. High quality footage: Enjoy 1080p HD image quality, 8x zoom, and a 130° viewing angle, so you never miss an important detail. Thanks to night vision, you can see what's going on even in the dark. Two-way talk: Communicate with whoever approaches your house thanks to two-way talk. So no matter where you are, you can tell the delivery guy to leave your package at the door or scare off unwelcome visitors. Weather proof: The Nest Cam Outdoor works rain and shine. With a rating of IP65, it can withstand rain storms and other tough weather. View video on Google Home Hub: "Hey Google, show the outdoor cam" - just say these words, and you can view footage from your Nest Cam Outdoor on the Google Home Hub. Smart assistance you can see: With the Google Home Hub, you can ask the Google Assistant questions and see the answer on the 7-inch touchscreen. So when you ask for directions, you'll not only hear them but also see them on a map. Rounded off with the Google Home Mini: This Nest bundle is rounded off with a free Google Home Mini. Put it in your bedroom to control your smart lights or in the living room to use with your Chromecast. Bring an added layer of convenience to your life by using your Nest Cam Outdoor with the Google Home Hub. Use voice commands to view Nest footage directly on the Hub. The Google Home Hub and Google Home Mini are also compatible with a number of other smart home manufacturer. Streamline your home and manage multiple smart home products from the Google Home app. Installing these products and connecting them with each other takes just a few steps. The Nest Cam Outdoor is built with top quality software and hardware. The Google Home products are equally well-made. Nest Cam: 24/7 streaming, motion- and sound-activated notifications, two-way talk and more. Google Home Hub: Voice assistance, touchscreen display, music streaming and more. Google Home Mini: Voice assistance, music streaming, and more. Voice commands are reliably carried out. False alarms from the Nest Cam Outdoor are rare. Both the Google and Nest products boast a modern, sleek design that will add to the aesthetic of your home. Nest's data is encrypted according to the AES 128 Bit TLS/SSL standard. The Google Home products only listen to what's going on when you say "Hey Google." This bundle comes at a steal of a price, especially considering the Google Home Mini is thrown in for free. Google Home Mini: 3.86 x 1.65 in. Nest Cam Outdoor: 11.04 oz. Google Home Hub: 16.9 oz. Google Home Mini: 6.10 oz. Does Nest have a subscription service available? Yes. Nest Aware subscriptions start at $5 a month and bring you increased video history, intelligent alerts, and activity zones. Is the Nest Cam Outdoor battery powered or wired? The Nest Cam Outdoor is plugged into power, so you'll never miss something due to a dead battery. Can I mute the microphones on the Google Home Hub and Google Home Mini? Yes, the microphones on these Google Home products can be muted at any time.